Anxiety is a normal reaction to a stressor. It is the body’s built-in mechanism for responding to a threat or coping with a difficult situation. Feeling anxiety in certain situations is natural. However, sometimes worries can stack up and overwhelm the mind – often in the absence of a triggering stimulus. In this case, they can become an anxiety disorder. An anxiety disorder can involve a complex interaction of physical, emotional, cognitive and behavioral effects. It can also either paralyze or hyper-activate actions and decisions. Polaris Counseling knows how debilitating anxiety can be. You might feel like you’re drowning in a sea of worry and concern. It doesn’t have to be this way. We are here to help you. Polaris Counseling offers anxiety counseling for the Naperville (IL), Wheaton (IL) and Aurora (IL) areas. Whatever your form of anxiety might be, our counselors will work with you to help you gain control of it. 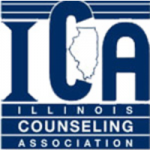 Our anxiety counseling for the Aurora, Naperville and Wheaton areas applies the principles of Cognitive Behavior Therapy (CBT) and other effective techniques for managing your thoughts. We will also instruct you in relaxation and anxiety-management techniques to help you self-soothe and continue to function in those anxious moments. If you’re suffering from too much anxiety, you can benefit from a caring and comprehensive treatment program. Through our anxiety counseling for the Naperville, Aurora and Wheaton areas, you will learn to free yourself from constant worry. You can reclaim your life. The mastery of your anxiety is important to us. For more information about our anxiety counseling for Aurora (IL), Wheaton (IL) and Naperville (IL), please contact us at (630) 779-0751.